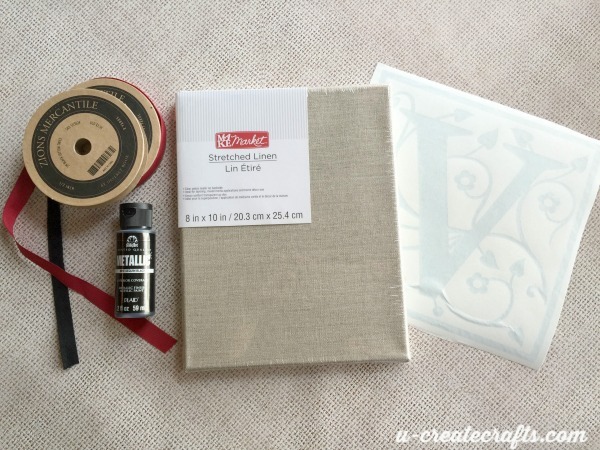 Apply a strip of ribbon to the top of the canvas. 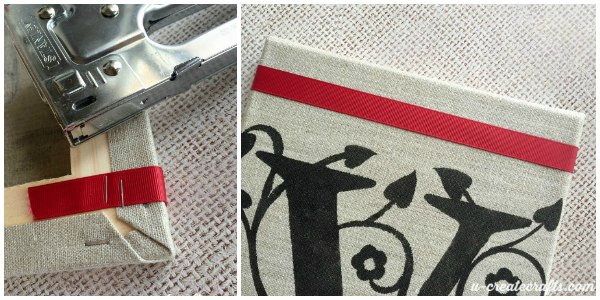 Using a heavy duty stapler/staples, secure both ends of the ribbon to the back of the canvas. 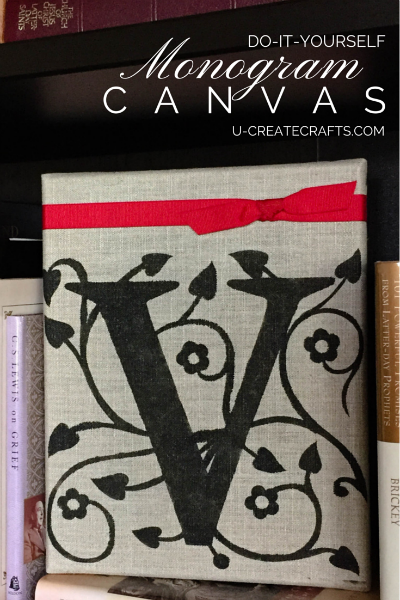 Take a small piece of ribbon and slide it underneath the strip on the front of the canvas. Tie it into a pretty knot or beautiful bow. That way it looks like you tied it around the top. You can even tie a charm unto the ribbon. Step #5: Display! 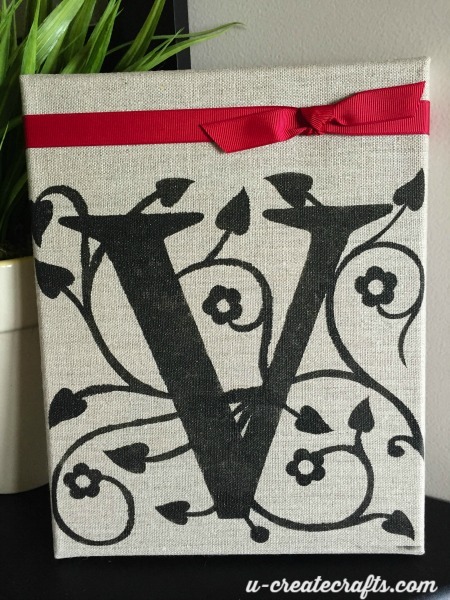 This Monogram Canvas is a perfect gift. It’s easy, beautiful and inexpensive! 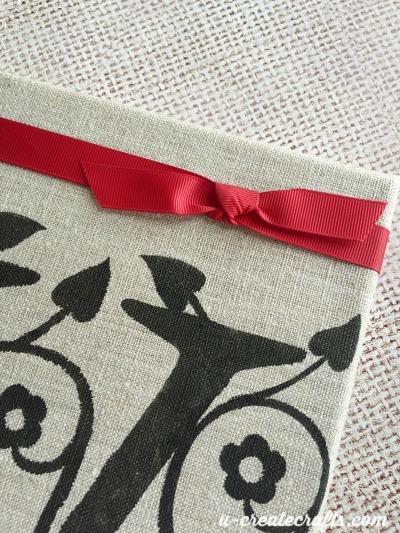 You could use different colored paint or ribbon to make it perfectly match any room. 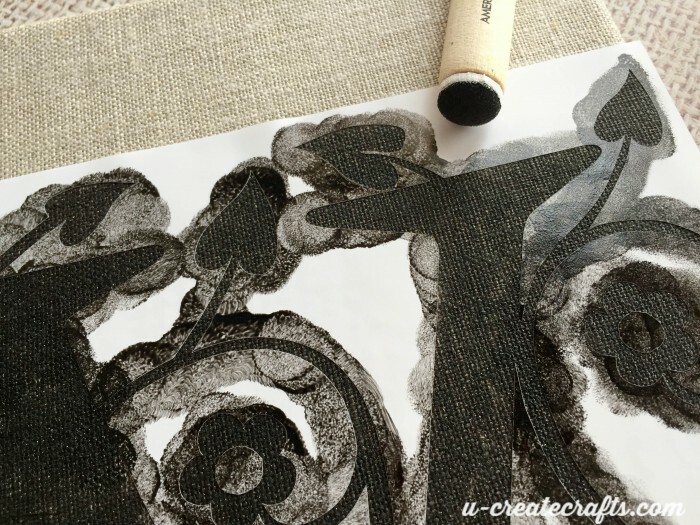 Wouldn’t it also be fun to cover the canvas with a subtle fabric…it would be easy to stretch the fabric over the canvas and staple it to the back. 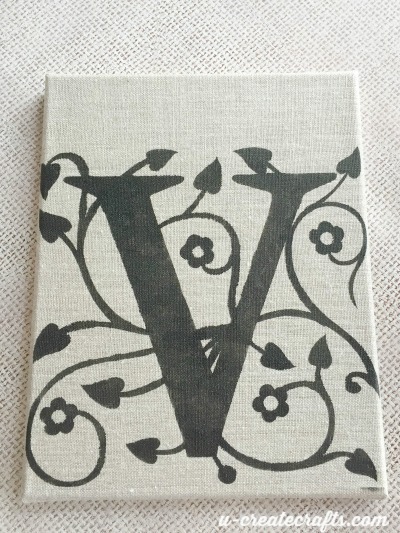 If you want the monogram style above, I am happy to sell them to you for $3 each plus $2 shipping. 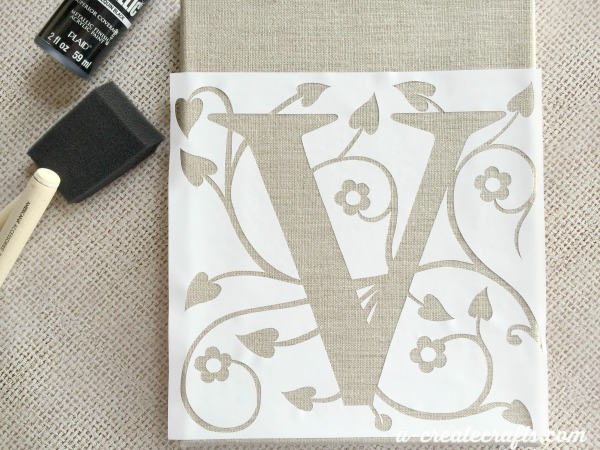 The monogram measures 8″ x 8″ and is only good for a one time use. Simply enter the Monogram letter in the box below and hit submit…that will take you to Paypal and you can checkout from there. 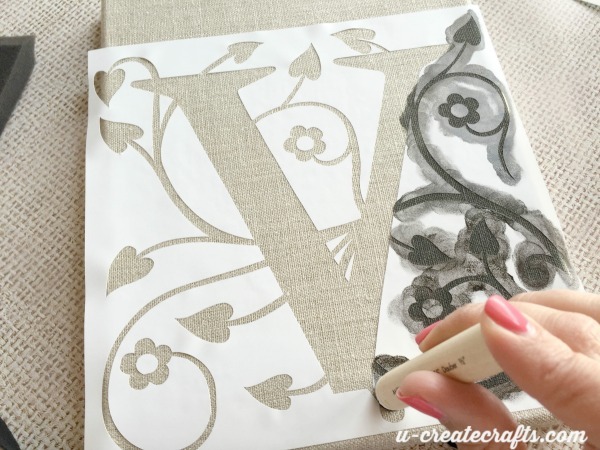 I just love this idea and may use it to make my mom a DIY gift. I’ve already bought a gift, but my mom is so wonderful, I want to celebrate her even more!! I’m glad I found your blog and you give great instruction while posting pictures throughout the project. This is a site I’ll visit frequently.